Mendelssohn: Piano Trio Op.49 in D minor. 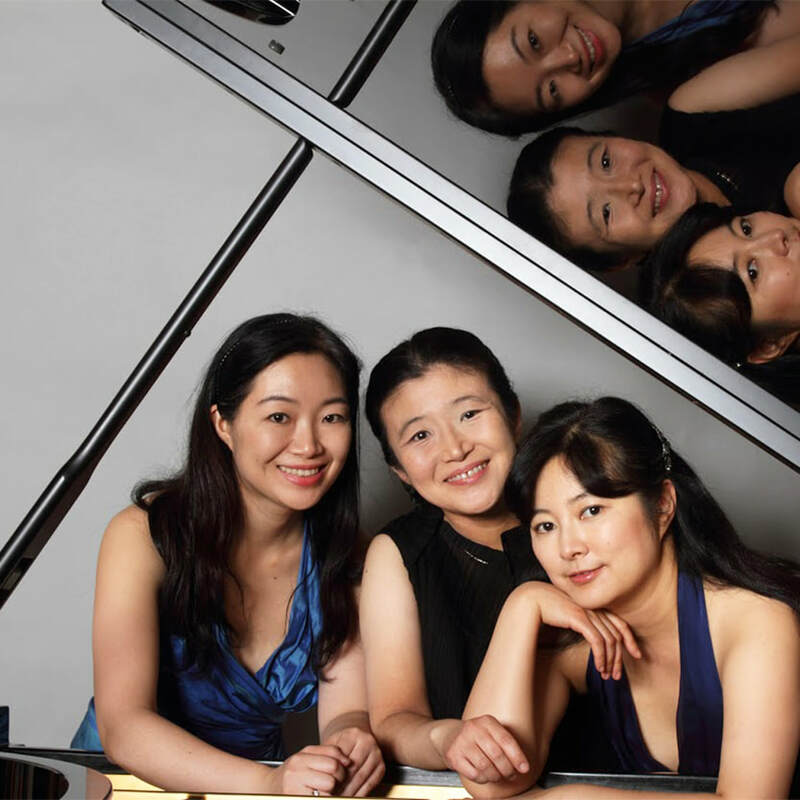 The Fujita sisters from Japan have been playing chamber music together since early childhood. They made a highly acclaimed debut at the Wigmore Hall in March 1999. Concert engagements have taken the Trio to more than 100 venues in the UK. Overseas, they have played in Canada, France, Italy, Ireland, Romania, Egypt, Morocco and Turkey, and they have won numerous awards and prizes, both as a Trio and individually. Arisa studied with David Takeno at the Guildhall School of Music, London (where she now teaches), Honoka studied at the Guildhall School with Jennifer Ward Clarke and Raphael Wallfisch, where the Trio also received coaching from the Takacs Quartet. Megumi studied at the Menuhin School with Louis Kentner, Simon Nicholls and Vlado Perlemuter and continued her studies at the Royal College of Music with Irina Zaritskaya. They won the Chamber Music Prize at the Guildhall School in 1994. The sisters have performed the Beethoven Triple Concerto numerous times with orchestras including the G..Enescu Philharmonic Orchestra (Romania) and the London Soloists Chamber Orchestra in venues including the Barbican Centre, Queen Elizabeth Hall, and the Atheneum Hall (Bucharest). They have toured Loire, France with the Orchestre National des Pays de la Loire. Their performance of the Triple Concerto with the Romanian National Radio Orchestra at the Radio Hall, Bucharest was broadcast live by national television and radio. In England, the Trio has performed at more than 100 venues including the Barbican Hall, Queen Elizabeth Hall, Purcell Room, Wigmore Hall, St.Martin-in-the-Fields, Crucible Theatre in Sheffield, and at the Exeter, King's Lynn, and Salisbury Festival. The Trio has recorded Toru Takemitsu Chamber Works for ASV Records, Tchaikovsky Piano Trio, Shostakovich/Ravel Piano Trios, Schubert Piano Trios, and the Dvorak/Smetana Piano Trios with the Swedish label Intim Musik. Arisa has released Ysaye 6 Sonatas for Solo Violin Op. 27, and Megumi, Rachmaninov 24 Preludes and a Piano Solo recital disc featuring works by Beethoven, Ravel and Rachmaninov. 2006 saw a return visit to the Wigmore Hall Sunday Coffee concert series and a performance of Beethoven Triple Concerto in Japan with Kyoto Philharmonic Orchestra, and in 2007, awarded the Kyoto Aoyama Barocksaal Prize for their recital in Kyoto, Japan.